This is a good one and must recommend it, find a copy, buy a copy and get your hands on this one. 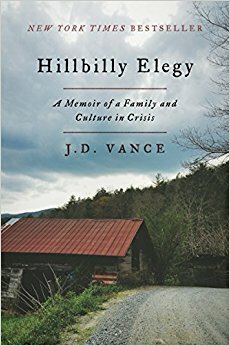 Hillbilly Elegy: A Memoir of a Family and Culture in Crisis by J.D. Vance is my 6th book in my 12 books in 2017 challenge. This book, a memoir of someone who self proclaims himself as unqualified to write a memoir (a man in his 30s who grew up in a poor community in Ohio, with a rocky family life, who joined the marines, went to college, got a degree at an Ivy league school and started a successful career breaking the cycle). Yet in this humility, there is something powerful in this book that makes it enjoyable, reflective and important. Reading it I can see why this book has been as popular as it has been. In my early discovery of this book, I saw notations that tied it relevance back to the 2016 election, not in impacting the election in any way, but instead crafting a narrative to "understand Trump's win." Frankly, reading this book to "understand Trump's win" is not compelling reason why I'd recommend this book -- this book to me, has very little to nothing to do about this past election. Alternatively, this is simply a touching, thought provoking and well written book on many fronts. If the American story is one of understand the American dream and how that does (and does not) play out in society, this book fits right into that narrative and certainly may hold a place in the American cannon for the story it tells. The book is rich in the sense that the story builds and every chapter is it's own interesting ecosystem in the way that Vance builds out his own story and lessons along the way. The build up is largely chronological, but also ends up being topical. 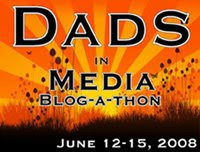 Topics naturally range from things of family life, public education, university education, welfare, child protective services, substance abuse, childhood trauma, career opportunities and faith. There are striking "characters" (albeit very real people), whether that be the cast of men in this book (especially his Papaw and biological father), or the women (his older sister, mother, and Mamaw). To me, the star "character" of this story who is told with such richness is that of his maternal grandmother, Mamaw. Mamaw is obviously an important character in not only J.D. 's life, but also in the various stages of his life. No character, as portrayed here, is more crass than Mamaw but she's also complex and the way her story unfolds through the eyes of her grandson's story is quite beautiful and reflective. The topics here interconnected in Vance's story are complicated and in my opinion Vance does not make any far reaching attempts to over simplify the scenario of the rural working poor, instead delivers his own story with a sensitivity and openness to the challenges and future for this part of our cultural fabric. In reading this book, I found myself in many context, whether hearing others talk or reading a news story that this book caused be pause to reconsider my position and thoughts -- not necessarily because this book proposes something so radical but presents a world that frankly I no so little about, and ought to take the chance to better understand.